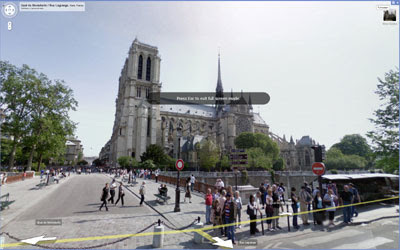 The Google Maps team has just added a full-screen option for Google Maps Street View. I really like this option as it makes some of the wonderful Street View sights even more stunning. For example, check out the Eiffel Tower in full-screen. To launch a Street View in full-screen mode just press the button at the top right of the Street View. this function is very useful.